This time I ended up with two but there is so much more than simply green coconuts on offer at the Express Food Market. They have a huge variety of produce that you won’t find in Tescos. Curry leaves, bitter gourds, and lots of weird and wonderful stuff to try. What pleased me most was the fresh root turmeric. 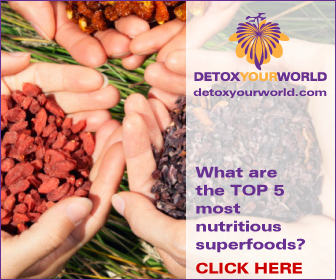 Two superfoods in one visit, you’re spoiling me! Alex of Beet the System had taken me there after another tempeh adventure but there was more. After the Express Food Market, he took me a little further down the road to a fantastic Indian shop that is filled with spices, pulses and all sorts of Indian goodness. I got several tins of patra, in varying degrees of hotness. I’m a big fan of this simple, delicious food. Spicy cabbage, apparently, which you cut into rounds and fry, in coconut oil, hopefully. I love these kind of shops, there are plenty on Ladypool Road, much nearer to home but sadly lacking the green coconuts. The coconut water from these green beauties is a natural sports drink and packed with electrolytes, great for dehydration and so would work well with my melon lemonade for hangover restoration! Green coconut meat can be very gel like, it’s much softer than the meat in the brown mature coconuts but still full of good medium chain triglycerides which help with the absorption of oil based vitamins and so much more – see below for links to posts with more information on this subject. Green coconuts are large. A husk surrounds the part you eat. They do take a bit of opening and although it’s been a while I did manage this quite well. My £2 chopper is still in good nick and I cut away the top part of the husk, then bodge a couple of holes in the top of the hard shell with a clean screwdriver, tip it upside down over a jug. Then the luscious coconut water simply drains into the jug and is ready to use. Ace! 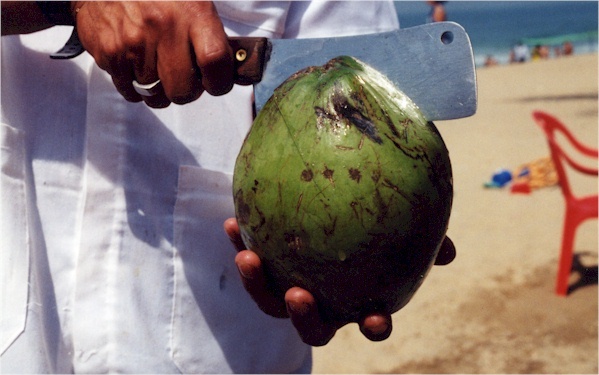 You then have to split the coconut open with your chopper and scoop out the meat with a spoon. Easy Peasy! But there’s a video below in case you need more guidance. Green coconuts and the coconut water from them is preferable to the packet stuff because it’s straight from the fruit, which is always better, in my opinion. I have been known to get some packet stuff despite it being very pricey as sometimes I just cannot be without coconut water! So if you find yourself desperate for green coconuts and fresh turmeric root get down to Express Food Market on Showell Green Lane, sharpish. Your green coconut needs will be catered for, delivery days are Wednesday and Friday! This video is of a bloke opening a coconut, in case you need some visual guidance. I watched this as a green coconut virgin and found it helpful, you might too! Is KTC coconut oil hydrogenated? Pure Coconut oil is heart healthy? Raw Coconut oil – from tree to jar without heating! Lucky you! When I go to India I find green coconut (“dob”) is just about the best thing for rehydration on very hot days. Must pay that shop a visit, as I work not far from there- thanks sharing your discovery. And patra is another thing that’s always popular in our house. (In fact I discovered it as a student in the 80s…!) Alex and my husband went to East End Foods a few months back and got loads of tins. The perfect lazy vegeburger I always thought patra was a kind of spinach, but I’ve since found out it’s colocasia leaves, from the tuberous dasheen or taro plant. They are high in vitamins A and C, calcium and iron, but must be cooked as they contain an irritant. Easing Your Way into Green Juicing with Vegetropolis Melon lemonade recipe – healthy and new-fangled! Mean Green Juicer Machine for a Healthy Vegan Heath Raw Coconut oil – from tree to jar without heating!